The documentary Higgs follows the quest for the Higgs Particle and everything that comes along with it. It is a unique and visually powerful story with remarkable protagonists, and it has historical relevance for our knowledge of the building blocks of the universe, and of ourselves. Peter Higgs is the hero of the film, the man who came up with the idea and the one whom it is all named after. But he is also the man who had been waiting more than 40 years for his idea’s right to exist. Until its discovery the Higgs Particle was to remain a mathematical concept, a theory without any factual basis. At CERN, the European Organization for Nuclear Research, we follow the scientists as they search for Higgs and watch as they put the final touches on the detectors, which are as large as cathedrals. We feel the tension as they count down to the day everything will be put in motion, and the first results come in. 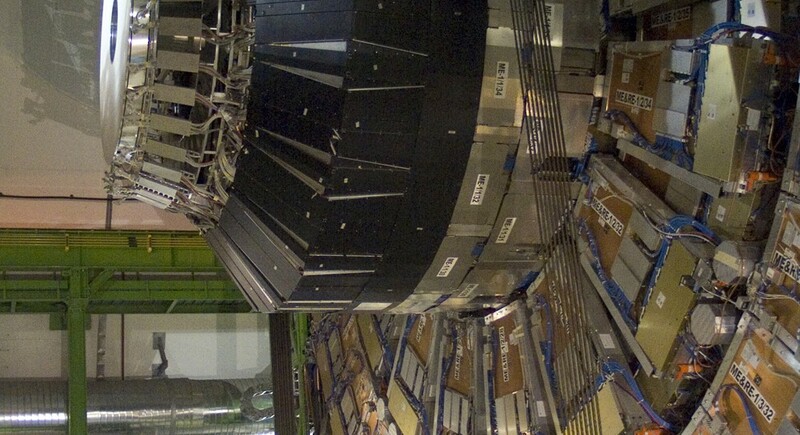 The leitmotif of the film is our personal search for an understandable metaphor for Higgs. We ask various CERN employees if they can explain Higgs to us in layman’s terms. Here, we give the floor to imagination. How should we, the curious outsiders, imagine what something as ultimately invisible as Higgs looks like? How does it work? What is it exactly? And why is it so important that it warrants construction of enormous detectors and investment of gargantuan sums of money? Produced by Viewpoint Productions in coproduction with HUMAN Television, with support from the Dutch Cultural Broadcasting Fund and the Dutch National Institute for Subatomic Physics (Nikhef).